After 15 years in business, and over 13,000 As-Built surveys created, PPM finally took the plunge in February of this year and purchased our first laser scanner. Starting with the “good old days” of tape measure, paper, and pencil, we have tested and implemented several different technological advancements in As-Built surveying over the years: First it was the laser distance meter, which for about $500 literally changed the game for us (“You mean I don’t have to pull this tape 120 feet to get that measurement?”). Then we started using the “COW” (Computer-On-Wheels) method where you skip the paper and instead bring your laptop with you on a rolling cart and create the As-Builts right there onsite. After that, there were several iterations of more advanced surveying systems based on tablet computers with Bluetooth connectivity to the laser meter – enabling a skilled user to draw linework and insert objects directly from the measurements taken. Each one of these and other innovations have enabled PPM to continue to provide the maximum value in the As-Built industry. 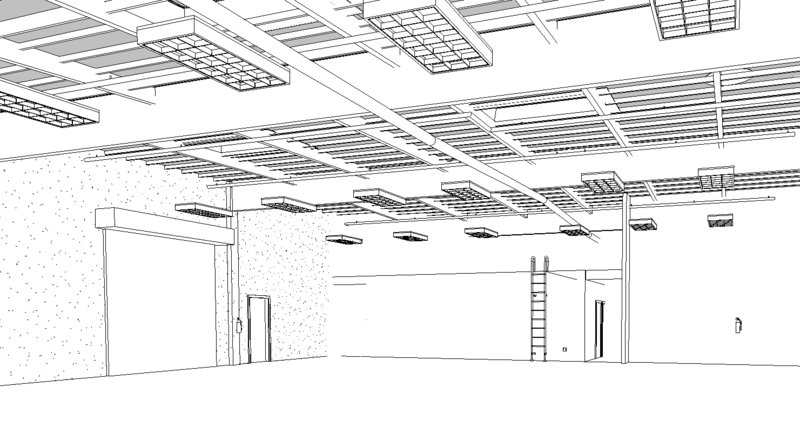 Laser Scanning will enable us to take our service to a whole level. After 8 months of research and testing various laser scanners, we decided to go with the Zeb Revo mobile laser scanner from GeoSLAM. The Zeb Revo takes 43,200 measurements per second, and generates a 3D point cloud that can be used in AutoCAD or REVIT to create traditional 2D As-Built drawings or 3D BIM models. 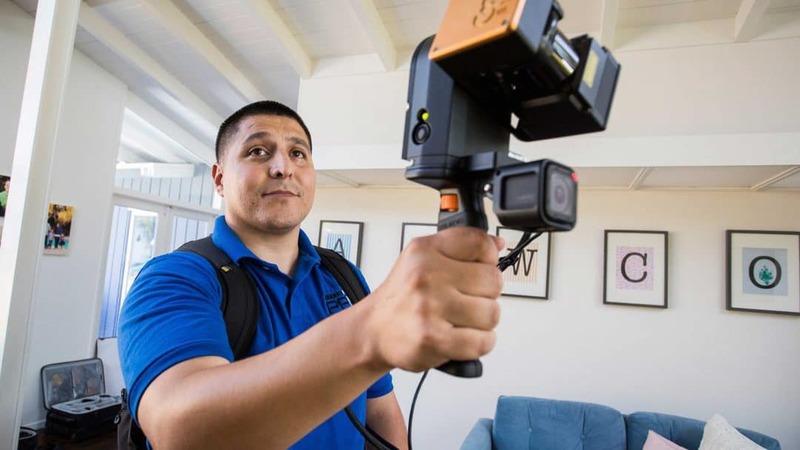 The device is extremely accurate (1/2” tolerance even in large spaces) and since it is mobile it is incredibly efficient – you hold it in front of you as you walk through the space capturing the 3D data. 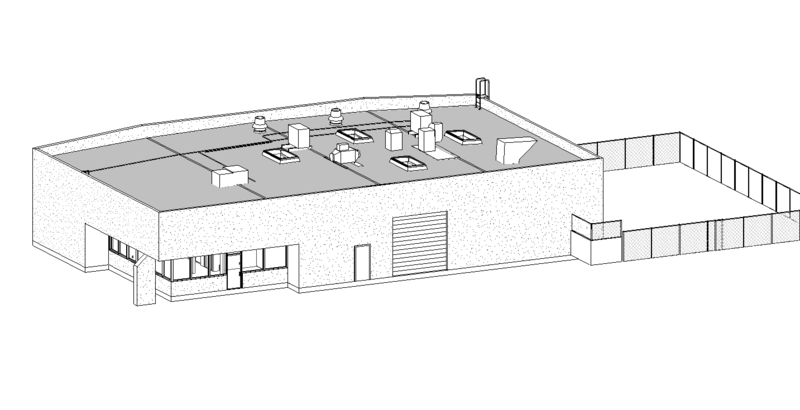 One of the 1st projects we scanned with our new toy was a 5,000 SF industrial building in Huntington Beach. There was a new tenant moving into the space, and our client was the architect in charge of the tenant improvements. He wanted a REVIT model of the existing conditions of the building, so we decided the laser scanner was the perfect tool for the job. The learning curve was steep on this project, but our team came together to ensure the As-Built project was completed accurately, on-time, and with all of the details that our client needed. We still have a lot to learn and improve when it comes to laser scanning and BIM modeling, but we are committed to making it happen. In the last couple months we have been training all of our employee surveyors how to use the Zeb Revo for As-Built surveying, and we are now using the laser scanner for about 4-5 projects per week. If you want to learn more about how PPM using the laser scanner for As-Built surveys, have any questions, or would like to discuss a potential project, please give us a call at 855-AS-BUILT, or shoot us an email by clicking here. Thanks! Last week, Luke from PPM attended the annual National Restaurant Association (NRA) show in Chicago. The NRA show is the biggest event of the year for the restaurant industry, featuring keynotes and education sessions with top foodservice experts, networking with all the top players in the industry, and hundreds of exhibitors showing off some of the latest developments in food preparation systems, transportation, point-of-sale, customer experience, and much more. Robots. I’m not talking about the human-like kind that walk around, talk to you, and help you defeat Darth Vader (yet) but rather the stationary machines that can perform any number of repetitive tasks. Many factors are coming together to make the use of robots more viable including decreasing costs, rising pressure on wages, a steadily improving labor market (making it more difficult to hire), more emphasis on food safety, 24/7 availability, and more. It’s true – before too long that Big Mac you have for lunch could be made by a robot. Point of Sale Innovations. Ever since the invent of “fast” food, almost every trip to one of these establishments has started the same way: Wait in line, and when it’s your turn, tell your order to a cashier. Pay, receive your number, and wait to be called. While this experience is still common, you’ve probably already noticed that it’s no longer ubiquitous. Many restaurant chains including McDonald’s, Wendy’s, and Panera Break, have embraced the use of kiosks to allow customers to place their own orders. Another growing trend is the use of smartphone apps where customers can skip the line altogether by ordering and paying with their phone, then simply picking up their food when they arrive. As with robots, the intersection of labor costs and technology (along with customer preference), is fueling this change. Data Analytics. There is ALOT of data generated with all those POS transactions in a restaurant. Add to is the increasing use of smartphone apps which allow the restaurant to gain previously inaccessible information about each specific user. With more data, more powerful computers, and smarter software, its a great time to be in the data analytics business. Restaurants are increasingly leveraging this data to help them find trends in sales patterns, the effectiveness of promotions, consumer preferences, and countless other insights. Restaurant Design. Restaurants are constantly changing their layout, decoration, and other design elements (some more frequently then others). Some recent trends in design include energy efficiency, a more streamlined counter, and bright, comfortable dining areas that encourage customers to linger. 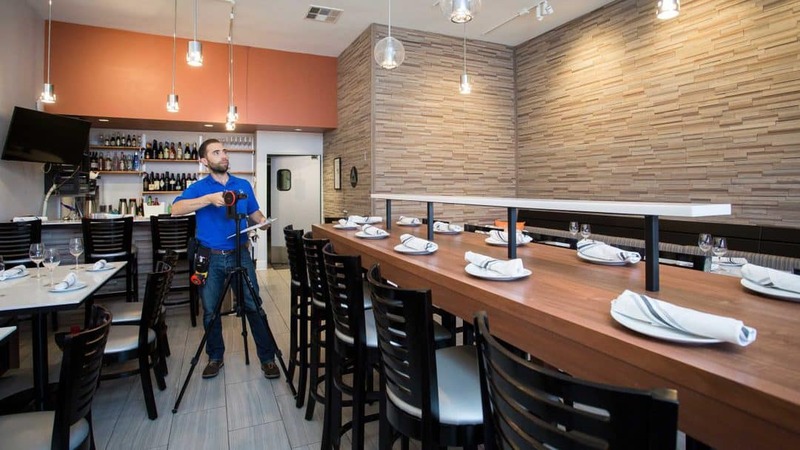 As these and other trends continue and the restaurant business continues to evolve, PPM provides value to our clients by giving them the “As-Built” information they need to plan and execute remodels and other store improvements. Our nationwide survey team can handle up to 50+ As-Built surveys per week, allowing a high-volume remodel program to proceed on schedule and on-budget, with minimal downtime for the operater. We work hand-in-hand with our client’s Planning and Design teams, to ensure that they are getting the exact As-Built information they need, the way they need it, for every restaurant. Want to chat about how we can help you be successful on an upcoming restaurant remodel program? Shoot me an email by clicking here.